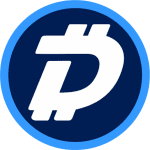 DigiByte is a UTXO blockchain released by Jared Tate in 2014 with the aim of being more decentralized, secure, faster and reaching a wider audience than Bitcoin. Blocks occur approximately every 15 seconds, which is 40x faster than Bitcoin, and there are around five million blocks. DigiBytes use includes storing objects of value such as currency, documents, IOT data, etc. and they can't be destroyed or counterfeited. Over 21 years, 21 billion Digibytes (DGB) will be created, and each is divisible to 8 decimal places. DigiByte engineered a now widely used asymmetrical difficulty adjusting mining technology, DigiShield, which is now the basis of several other blockchains. In 2017 Segregated Witness (SegWit) was implemented via a soft fork and paved the way for the Lightning Network which is a payment protocol enabling instant and cross-chain transactions. DigiByte also hard forked from a single mining algorithm and now uses five, equally weighted, mining algorithms to prevent centralization. Decentralised applications (dApps) and Digi-Apps can be built on the blockchain providing real-world uses. Users can transfer DGB to a WIREX debit card and used for off and online shopping. The DigiByte team are planning on applying their security to IOT services and devices and are also looking to combine DigiByte blockchain technology with artificial intelligence. In 2018, the focus is to expand the accepted wallets, including mobile ones, significantly, and list on more exchanges to make DGB easily accessible globally. There is also a planned upgrade in store for Algo Swap efficiency for DGB miners. For more information regarding Digibyte visit the official site.